Concertina - Folk musicians have favored concertinas since the mid-1800s for their low cost, portability, and superior sound. 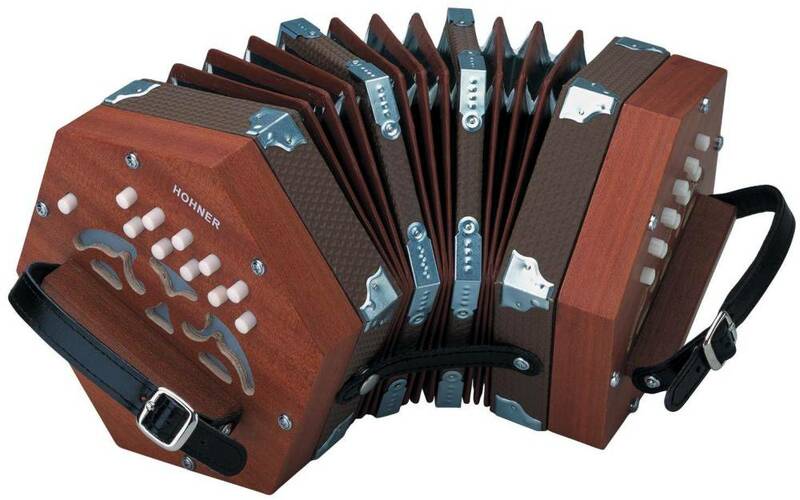 Compared with other concertinas, you'll find HOHNER's has a brighter sound and smoother tone. Concertine gig bag included.